2012 – Ms. Kuznetsova was successfully admitted as a Patent Attorney and received License No. 298 in Eurasia. 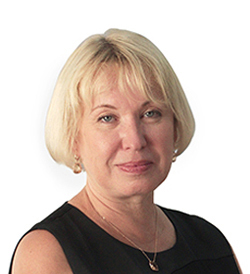 Ms. Kuznetsova would be pleased to assist you with the full range of legal services related to filing, prosecution, maintenance of a patents, utility models, industrial designs and trademarks in Russia as well as Eurasian patents. Please contact Ms. Kuznetsova in case you have any questions in respect of Intellectual Property Protection Services in Russia and Eurasia. If you need information concerning entering national phase of PCT application in Russia, please see useful information concerning filing and prosecution Russian application based on PCT.